Barbara created a sweet winter scene in a dome shape, reminiscent of a traditional snow globe. 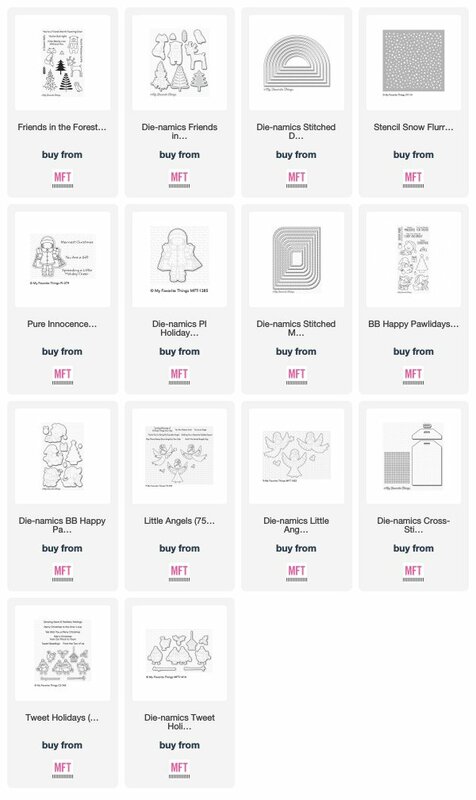 Her adorable characters are dressed for the winter holidays with the stamped sentiment completing the design and offering a festive greeting. 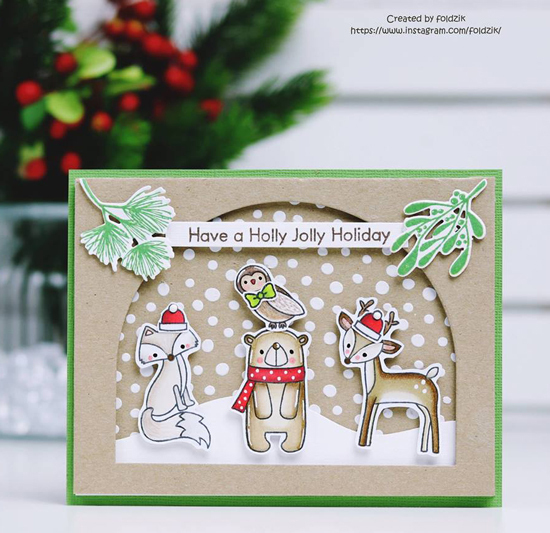 Claire featured the Holiday Cheer Pure Innocence stamp set on her design with a pairing of Stitched Mod Rectangles as the backdrop. 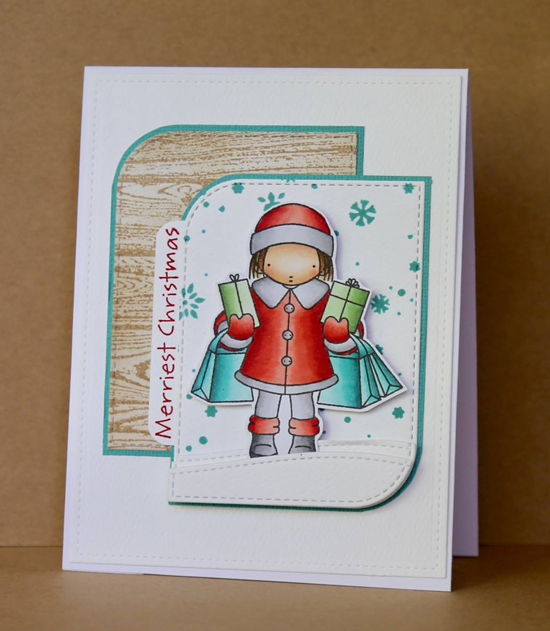 The woodgrain stamping adds texture to her card and helps to highlight the sentiment peeking out from the front panel. Card sets are always a great idea, especially during the busy holiday season. 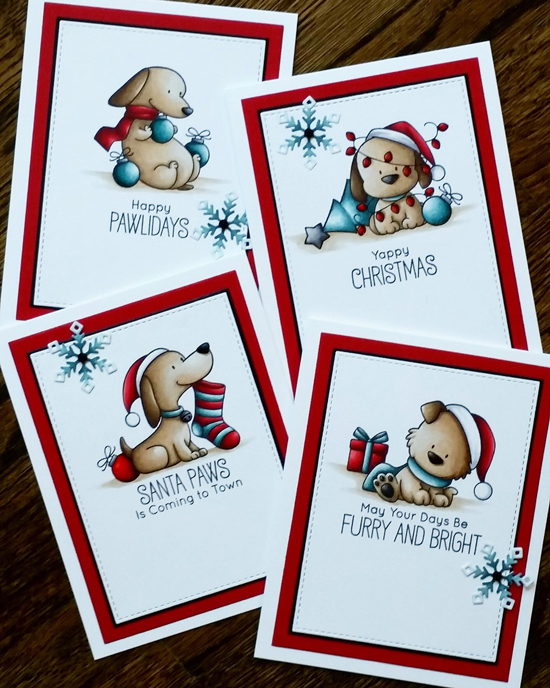 We adore the sweet collection Tammie created featuring the Happy Pawlidays stamp set and love the added snowflake she incorporated into each one. 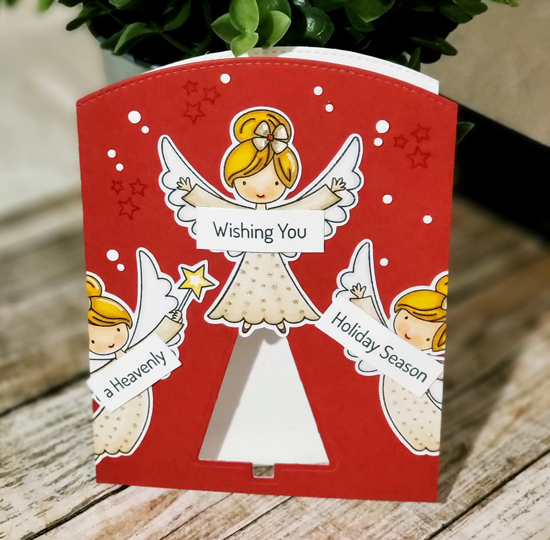 Amy created a beautiful card design featuring the Little Angels stamp set and accessorized her Christmas tree with one of the angels on top. We love how she split the sentiment into three parts, so all three angels are sending the holiday wishes. 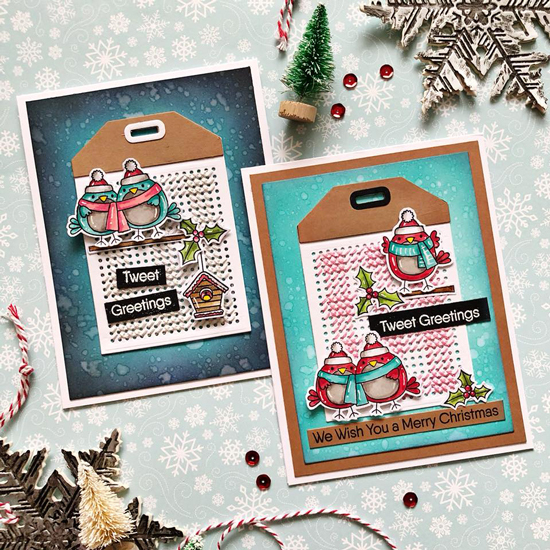 Vica combined stamping and stitching on her card designs with the Cross-Stitch Tag Die-namics along with the Tweet Holidays stamp set. We love seeing the birds highlighted on the tags with the stitching adding fun texture and detail to the background. Chuffed to bits to have been spotted thank you! I do love that stamp!